Eggs, fruit, cereal, milk—you may know breakfast is an important meal, but this is especially true for kids, whose growing bodies need nutrients like fish need water, and whose stomachs need food for their minds to focus in school. At Second Harvest, we already distribute breakfast foods through our nutrition programs at schools, churches, and other sites across the county, and here at the warehouse, where our 100 partner agencies receive needed food for their soup kitchens, pantries, recovery homes, and more. But thanks to shoppers who donated to the “Hunger Is” campaign (a joint charitable program of the Albertsons Companies Foundation and the Entertainment Industry Foundation) at Safeway stores last September, $4.6 million will fund 110 programs to fight childhood hunger across 33 states, and Second Harvest is thrilled to have received one of the grants—$60,000 to expand our acquisition and distribution of healthy breakfast foods for kids. Three out of four elementary and middles school teachers say they regularly see students come to school hungry, a situation no one finds acceptable and which the Hunger Is campaign seeks to end. 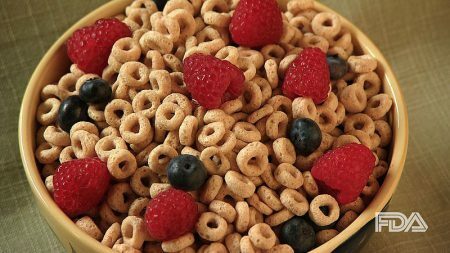 Studies have shown that eating breakfast can improve a child’s attention span during school and improve academic performance. In Santa Cruz County, one in four children faces hunger. You can learn more about Safeway and Albertsons’ fight against childhood hunger at HungerIs.org.